The stakes are high and football has no room for baseless rumors! There are numerous instances in each season wherein the phrase 'Football is more than a game' resonates with each and every fan of football, irrespective of the club one supports. To name a few instances that come to mind as and when football seems larger than life is the excitement all Manchester United fans feel when their players score in 'Fergie Time' or the periodic disappointment Spurs fans feel whenever Tottenham bottles their matches at crucial junctures of the season. At the macro level, football is a sport and each sport has one common trait- unpredictability. This, in turn, brings these unscripted, authentic and nerve-wracking surprises to us. At the micro level, there are tons of factors that can potentially impact a football club's performance ranging from one rumor to the other. Yes, you read that right! Rumors have become cardinal to the world of top-flight football in a way none of us could have imagined a decade ago. This can largely be attributed to the rise of social media. 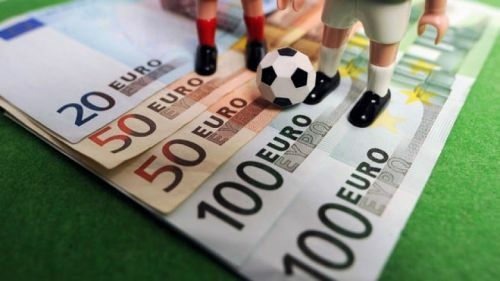 While certain rumors can be perceived to have a holistic upside, baseless murmurs encouraged by leading publishing houses can often derail any football club's campaign. One school of thought can argue that it is in the job description of the hierarchy of any football club to thwart all kinds of distractions and keep the focus on the pitch. But I firmly believe that it must be a collective effort of all involved - the fans, football pundits, leading newspapers, online publishing houses etc. to maintain the integrity of our beloved sport. In this dynamic world of top-flight football, it is easy to forget the basic fact of the matter. Notwithstanding the worldwide fame, riches and miscellaneous privileges accompanying this universe, there are human lives involved. None of us, as fans, want to see a player or manager surrendering his professional career due to the ill-fated intervention of one of the countless baseless rumors encircling all the major football leagues in Europe, as of today. The onus lies with the major publication houses, both online and offline to filter out the baseless from the authentic, in an attempt to improve the quality of journalism on offer rather than manipulating their outreach to choreograph the functioning of football clubs with maximum brand values.